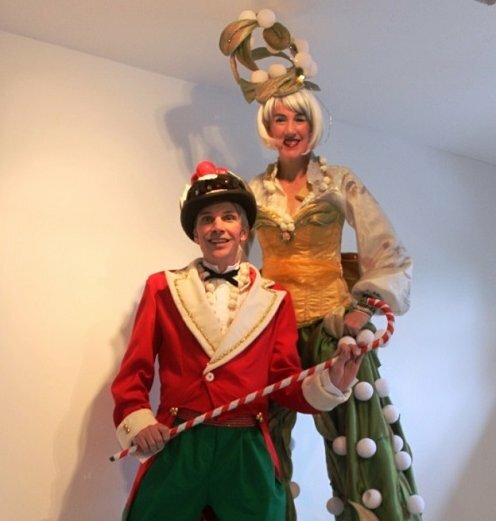 These fantastic corporate entertainers are great Christmas mix & mingle characters, because not only do they walk around entertaining your guests, they also put on a bit of a show in between! You can also book the Curious Christmas mix & mingle characters as solo characters or pick out your favourites and book them together, which works better for the cabaret option. These Curious Christmas mix & mingle Characters are perfect for bringing festive cheer to Xmas corporate events and shopping centres. 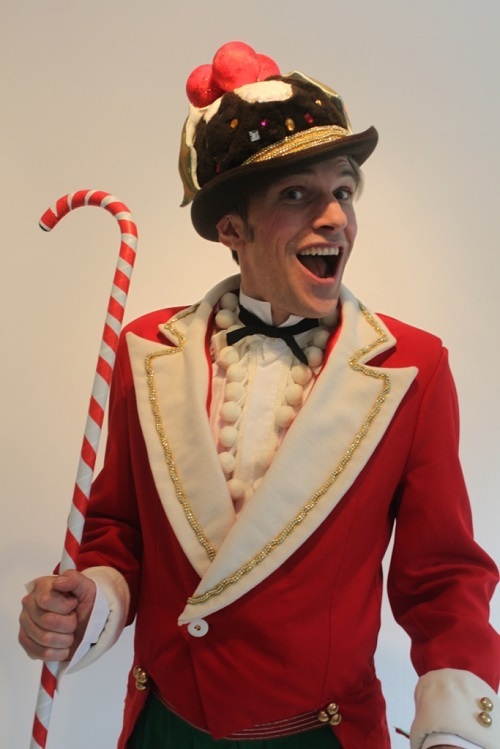 Mr Christmas mix & mingle Character is a compère and crooner and his wit is as sharp as his winklepickers. 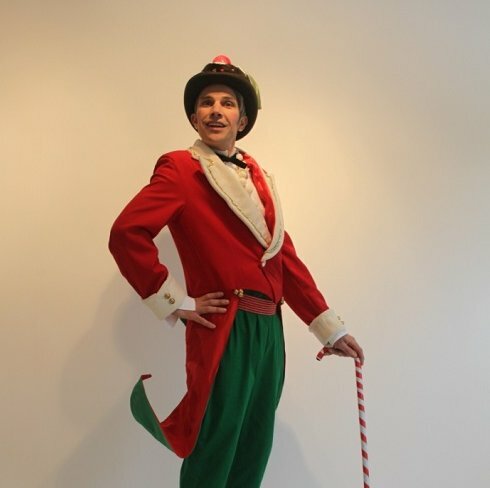 Great for mixing & mingling or as your compère, he brings style and humour in Christmas stocking-loads. 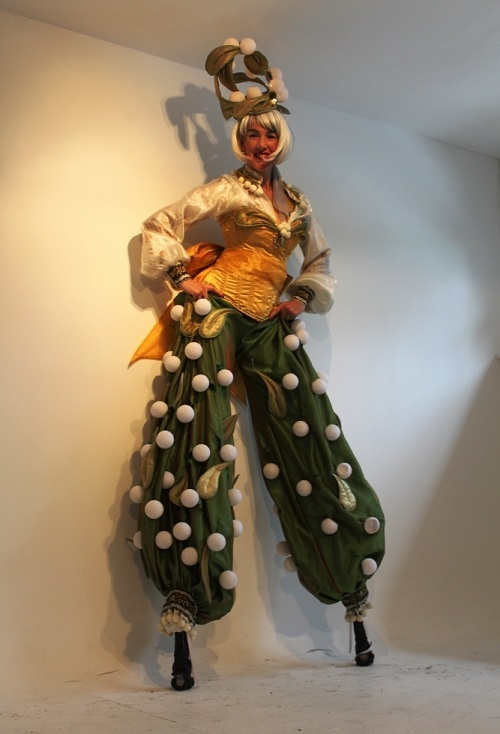 Miss Mistletoe is a new mix & mingle Xmas character on stilts. Armed with a big bunch of the magic plant she provides all the encouragement and the perfect excuse for a quick (or slow) Christmas kiss. For outdoor evening events, her berries light up. 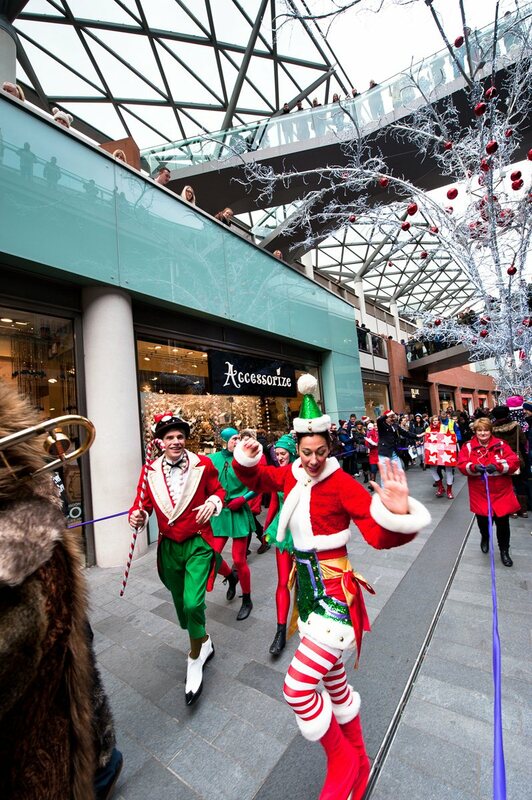 The Sleigh Belles mix & mingle characters are our rather glamorous version of Santa’s elves. 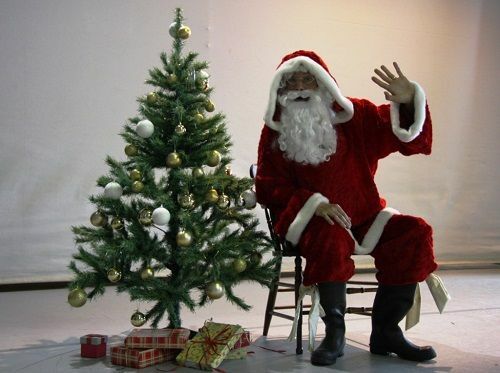 They accompany Mr C, or Santa himself and occasionally do a bit of tap dancing. They are great for mix & mingles, in a show, at a grotto or to help out at events. 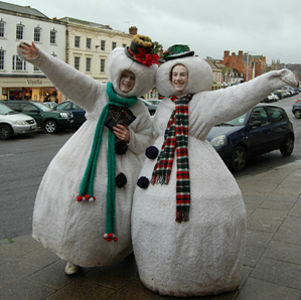 The Snowladies mix & mingle characters make such a friendly impression and are loved wherever they go. On foot or on skates, on walkabout or in a show they are happy, funny and surprisingly good dancers. The Christmas Fairy mix & mingle character is just as every little (or big) girl would imagine. Floaty and sparkly, wand in hand and always ready to help grant Xmas wishes. The Christmas Fairy has a starring role in our show and also does a lovely ballet inspired mix & mingle act. This Santa is the real deal! 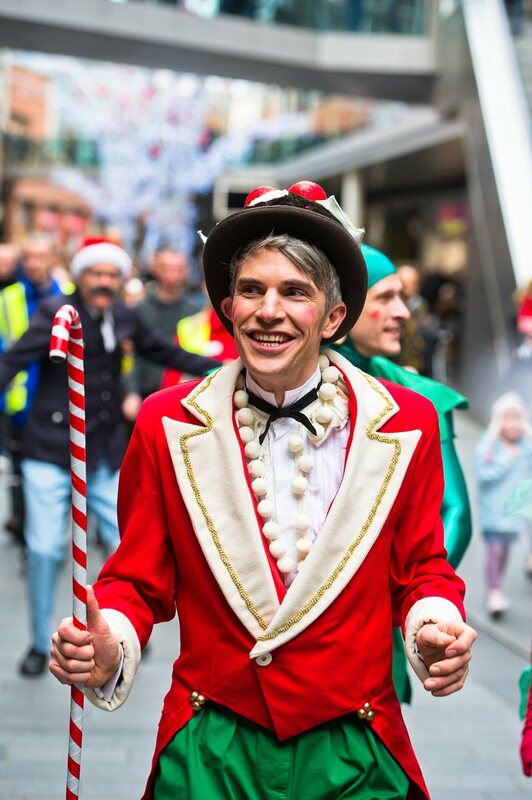 He is perfect for shopping centres, corporate family fun days and school Chistmas fairs. The Curious Christmas Mix & Mingle characters can perform 3 x 40 minutes walkabout sets or 3 x 30 minute mix & mingle sets with a 10 minute cabaret slot. The latter works well with a small cast (3 or 4) so they can do costume changes. The cabaret sets will include 3 numbers; a intro and song from Mr Christmas, a dance number from one or two of the other characters, and end with an audience pleasing sing-along. The performers will need a secure changing room. If the cabaret option is being booked they will require a power point for their small PA system or an in house PA system they can play their music on.